Get your free guide to clearing your mental blocks now and stay up to date with news, tips, training, courses and more from Before I Go Solutions! 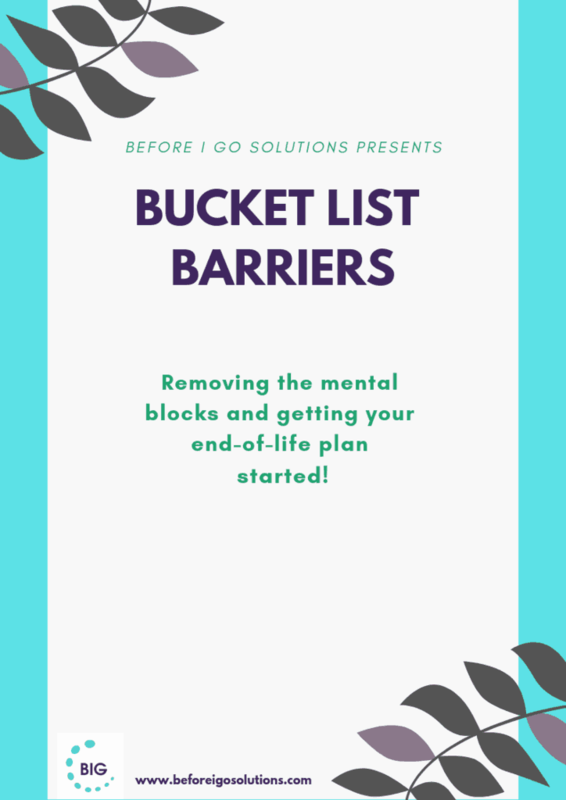 Your 5-step guide to releasing your mental blocks and starting on your end-of-life plan! - Experience the inspiration to take action simply by reading this PDF!